I ventured down to the Daytona Speedway on Saturday to view all the new bikes and peruse the bikes of all attendees and it hit home hard this year that I must have been sucked up in a vortex and deposited in an alternate universe. I must have seen at least 50-100 of these machines, virtually unable to turn around, let alone lean or even go over a small ripple or bump in the road. The cacophony from pipes (or lack of) and blaring speakers was remarkable and painful at times. Still an interesting afternoon. I did enjoy looking at some of the new models. I liked the Kaw w800 and the Indian flat track styled bike and a few others. Not sure I want to go back but being old I will probably forget about it by next year and do it again. That thing is probably so fast it goes through bumps! 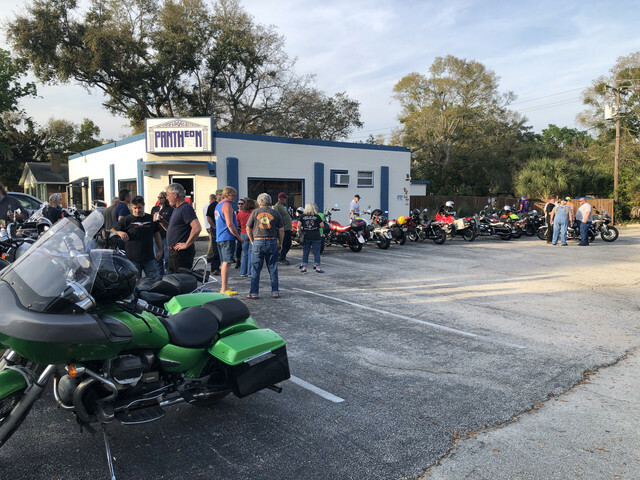 You should have joined us at Pantheon Pizza on Monday night and Martin's (Flagler Beach) on Wednesday and would have seen a few Guzzi. I was at both those events. And as we know, it didn't happen if there is not a picture, I am in the Pantheon picture on the left, in profile, just above the windscreen on the green bike. 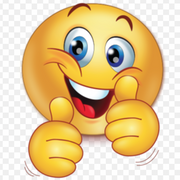 Both those events were really great and the turn out was better than last year. And best of all a dually did not back into my bike this year at Martins! I was at both those events. Saw this on Main Street. 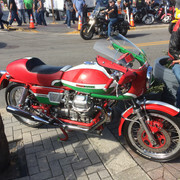 During Bike Week, Guzzi's may be as rare as hen's teeth, but they are out there. This needs to added to the thread: "Just When You Thought You've Seen It All!!" To me this is a not a "just when you thought you've seen it all" contraption. If there were just a few of these things then OK. There were as many of these as all the Italian, British and German bikes put together. There are always a few that will build just about anything. But these things have to be extremely expensive too, and for a machine that seems unusable. I'm questioning my grip on reality (more than usual). Once again , push a button and these lowriders raise up about 6 inches . It is called "rolling art". It is not meant to be ridden across country. It is built exclusively to show off. When built right some of those bikes actually handle quite well. If you ever get a chance to ride a Yamaha "Star" Raider you would be amazed at how well it goes through the curves for a chopperish motorcycle. I was pleasantly surprised at how neutral the handling was and it just leaned over and stayed where I put it. For me, every bike has a place in this world. There is just too much prejudice against bikes that people don't understand. Why can't all riders just get along and appreciate everyone's differences? There isn't a bike I would refuse if it were offered to me for free. I would like to try them all before I die. "Bikeweek" is a misnomer. It should now be called "Stereoweek." The noise coming from some of those mobile sound machines was hugely annoying. As long as it was "Classic Rock" and was clear instead of overdriven distortion I would be OK with it. They are almost always overdriven. Even so it is unintelligible being drowned out by the pipes, I am not sure if this is a good or bad thing? I'm glad someone else feels the same way that I do. 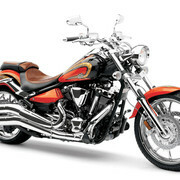 spend time immersed in motorcycles as a whole and not just in one genre or marque. When moving between scenes, you hear the same exact script- almost word for word- about the "other" bad/dumb/whatever brands or styles and people who ride them. (and the same thing happens re: cars, trucks, etc). Along the way, you meet a few people that just love motorcycles, no matter what kind or style. Conversations often end with "I wouldn't want one like that, but that's kinda cool.." but without any derogatory judgments. That's very cool. One of my Master Sculptors addressed such things very well. Giuliano would only say whether he liked or didn't like something. If he didn't like it, it ended there and he moved on. He didn't say whether it was good or bad. It was a good lesson. Bikeweek is Bikeweek. It's always been an exaggeration of bike reality and the only way to stand out is to be more exaggerated than the rest. Practicality is irrelevant. I haven't been to Bikeweek since 2000. When I went to the Speedway in 2014 or 15 to pick up some parts, I would have never known it was the same place. 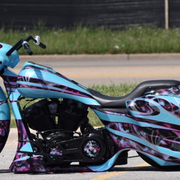 So you have to like every motorcycle that everyone makes? And if you don't, it means that you are prejudiced against them, and you just don't understand? Is there no place for a simple difference of opinion on usability or esthetics any more? Both lads make interesting points. As long as it was "Classic Rock"...Believe me, it was about as far from "Classic Rock" as you can get! 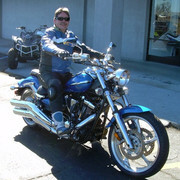 Lannis, most people who express disdain for a particular bike usually have never even tried it. It is called prejudging. The one guy didn't even know that the bike is raised when riding and cut it down with a lack of knowledge. That is prejudging. I know people who are covered in tattoos and are on the hefty side that would give the shirt off their back to help someone in need, but I read too many posts that prejudge this person. If you approach motorcycles with an open mind and with knowledge and then decide that bike is not for you then that is fine. At least you made an informed decision. I will ride any bike that is offered to me to ride. 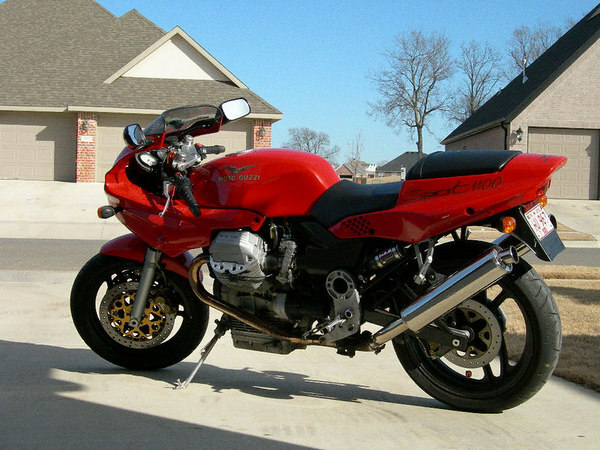 Some I come away with "nice bike" but not for me because of several different factors. Rideability, affordability, esthetics, etc. Like many popular events, it is the huge crowds that turn me off these days. 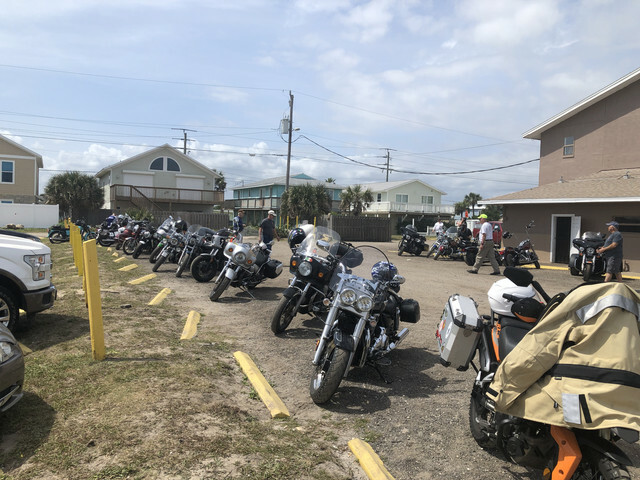 These events were always attended by a diverse array of riders, but the attendance has increased by many orders of magnitude. Also, I feel that the AMA blew it with the racing. There was a time when winning the road race at Daytona was a big international deal...no more. I used to look down on those ferris wheel bikes but then it's no different than bobbers of the 40's and 50's, chopper of the 70's etc. so now I just look, chuckle and be on my way. I have my own rat bike bobber built out of an old wrecked Honda. Just a way to salvage a perfectly good bike without putting a lot of money in it. Takes all kinds. I just got back from 10 days at Bike Week. Yes, there is still the 'alternate universe' there if that's what you are looking for. At the same time you can test ride some machines you'd be hard pressed to demo locally. I rode a HD, a Yamaha, a Kawasaki, and a Vanderhall. The latter was a real hoot! https://vanderhallusa.com/3-wheel-car/. My Norton buddies and I enjoyed a few out of the way restaurants, took some 60-70 mile rides through the countryside, took in a bike show/museum full of old British bikes, and even went to see the dirt track races. At the same time I went to two Guzzi events. My point is that you can make Bike Week into whatever experience you choose. It does not have to be all HD 'hey look at me'. Lots of Guzzi's at Volusia Speedway the 10th for the flat track races. Even 1 racing. Lannis, most people who express disdain for a particular bike usually have never even tried it. It is called prejudging. The one guy didn't even know that the bike is raised when riding and cut it down with a lack of knowledge. That is prejudging. I assume I'm the one guy you are mistakenly referring to? I do know that they have hydraulic or servo controls to raise the bike. As I said in my previous post, I saw probably close to a hundred there. I saw many being ridden and also watched as some were turned around in a multi step process that was humorous to watch. Even raised and running my guess was a couple of inches of clearance and some bikes definitely had scraping on the bottom rear panels. I think you may have missed my main point in expressing about an alternate universe. That was the fact that there were so many of these almost unrideable machines compared to all the Triumps, Ducs, BMWs and non existent Guzzis. I could care less what an individual wants to build for whatever reason. I don't recall stating that I would not want to try one in my earlier posts, but I will now. While at the track with my son and a friend, I commented while visiting the bike manufacturers tents that I wish I had the time and availability to ride all the bikes, large and small, sport, dual purpose, cruiser, off road, etc. because I would like to sample them all and it would be a fun and interesting experience. Maybe with the exception of Boss Hogs. I might be prejudiced against large heave bikes for my self, weighing in at only 145lbs. FYI, I know some very nice, kind, gracious people with tattoos, including my daughter. I don't know why this was brought up? I am certainly open to other genres of music than classic rock. Maybe I should have started a philosophical discussion of style over/or compared to function instead. Bike week is indeed an alternate universe. As one who has traveled in a few alternate universes in times past, I do enjoy Bike week. I hope that I never get over the child like wonder of seeing all the motorcycles even if some of them leave me wondering 'why?'. This is the tenth year in a row that I have attended Bike Week and it appears to me to be the smallest in both attendence and vendors. Talking to lots of vendors and they agree about attendee numbers, however most of them said that were doing a lot more business this year than last year or the year before. That is good news. Walking, and riding around the Bike Week environs one would be tempted to accurately describe it as Geriatric Week. Lots of 'seasoned' participants, myself included. The younger crowd for the most part doesn't show up until the evenings after work and on the weekends. The young folks riding Groms looked like they were having fun. The grim faced riders of those strange non turnable hydraulic lowering tall front wheel baggers only looked liked they were having fun when parked and drinking beer. Every monkey to his own swing. The really large national *biker* events are fading away , or returning to something more resembling what they were before about 1983 when the rubbie phenomenon started in earnest . I've only been in Daytona once , 1983 , travelled down from East Texas with a friend who owned one of the first Honda dealers in the US . We drove down in his motorhome , parked in the infield at the speedway , and barely left . Have made the Black Hills event a few times , before it became so large , and after , my understanding is it peaked around 2002 and has been slowly shrinking .